MIAMI LAKES, FL: Solo, duet, and trio combinations of poetry and performance will come together when Chaos Theory: Unbroken is performed at the Main Street Playhouse in Miami Lakes, on May 20th and 21st. Conundrum Stages will present the prominent poetic ensemble in an exciting stand-alone showcase of material the group has composed since its inception in 2008. Chaos Theory is a collective comprised of several of South Florida’s most dynamic spoken word artists. The group was created in 2008 by poets Mr. Rigz (Reagan Mendoza) and Raff Adams (Adam Freilich). It has since grown with the addition of Flow Diva (Rachel Finley), Anon De-Evolution (Jean Marcellot), and Mori Taiye. Raff Adams left the group in early 2011. Conundrum Stages and Chaos Theory’s relationship began in 2009 when the group contributed to a variety showcase in Oakland Park. They have also been the anchor team for Conundrum Stages’ annual poetry event, The SpeakOut, and contributed to the company’s 5th anniversary event at the Broward Center in Fort Lauderdale in 2013. Conundrum is proud to provide Chaos Theory the platform for their first ever production; hope is that this performance of Unbroken will be a launching pad for something beyond. The poets of Chaos Theory each come from different ethnic, socioeconomic, religious, educational and cultural backgrounds. Their personal interests, points of view and styles are as diverse as any group of individuals can be. Yet they have found a way to use all their combined life experiences to create a brand of poetry that is honest, bold, vibrant and soulful. Individually and collectively, they perform nationally, from university stages to packed poetry clubs. Some notable performances and accolades have been: NBC, WSVN/FOX, NPR, University of Miami, University of Illinois-Chicago, Duke University, University of Wisconsin-Madison, University of Minnesota-St. Paul, The National Poetry Slam and Festival, Miami Book Fair International, South Florida’s Lit Walk and many others. In 2011, Chaos Theory placed third at the Southeastern Regional Poetry Slam (the second largest poetry festival in the country). In December 2015, Chaos Theory were featured performers during Art Basel, the country’s biggest art festival. They have also been nominated for a 2016 Florida Entertainment Legend Award. Chaos Theory are very involved in non-profit work, donating both time and money to organizations such as Operation Helping Hands Miami, HOPE Inc, Pink Strydes, Soul Survivors Annual Benefit and Fundraiser, CAPE Arts Partnership in Education and Young Arts Miami. Chaos Theory aim to not only provide comfort and understanding of the uncertainties of daily life, but also to address the complex socio-political issues that affect our world, with the underlying reminder that through the human experience, we are all connected. Chaos Theory can be found online via Facebok, Twitter, YouTube and Instagram under chaostheoryonline. RIGZ – An accomplished poet and producer, Reagan Mendoza, also known as Mr. Rigz, has been called the “next level” in spoken word production, as well as a “powerhouse poet” on stage. Born and raised in Chicago, Rigz began his journey as a drummer in a number of successful local bands, a poet/emcee in an underground hiphop collective, as well as a producer/engineer for local artists. After graduating from Columbia College Chicago, Rigz moved to Miami and went right to work recording and mixing for film and television during the day, while producing for poets and artists at night. In 2008, he formed Chaos Theory, a dynamic spoken word group. For the remainder of that year and throughout 2010, he performed all over South Florida as both a solo artist and with Chaos Theory. He also continued to produce for a number of break-out poets throughout the country, including HBO Def Poet Asia, National Slam Champions Carlos Robson, Kataalyst Alcindor and Miami Master slam champion, Bertrand Boyd. Through hard work and dedication, Rigz gained some attention, becoming a featured artist on a number of TV and radio shows, blogs and magazines, including WSVN/Fox, NPR, The Miami Herald, Poetry Is…, Spoken Visionz Magazine and many more. In 2012, Rigz independently released a critically-acclaimed album, Clay And Concrete. In 2013, he was named “Artist of the Year” by the National Poetry Awards. And in 2015, he was a featured member of the sound department on the movie San Andreas, contributed to two documentaries, and was named one of the 100 Most Talented and Inspiring Creatives in Miami. He is working on his next album. 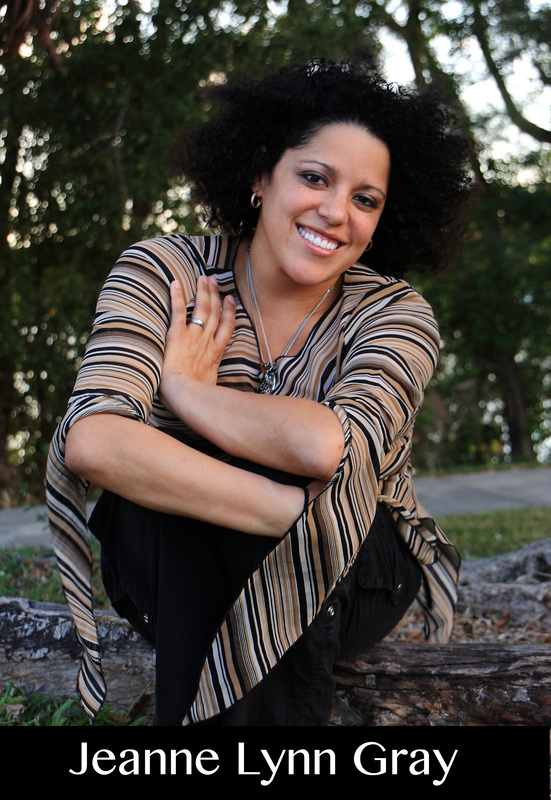 FLOW DIVA – A proud South Florida native, Rachel “Flow Diva” Finley has represented the state as an award winning spoken word artist at regional, national and international poetry slams. 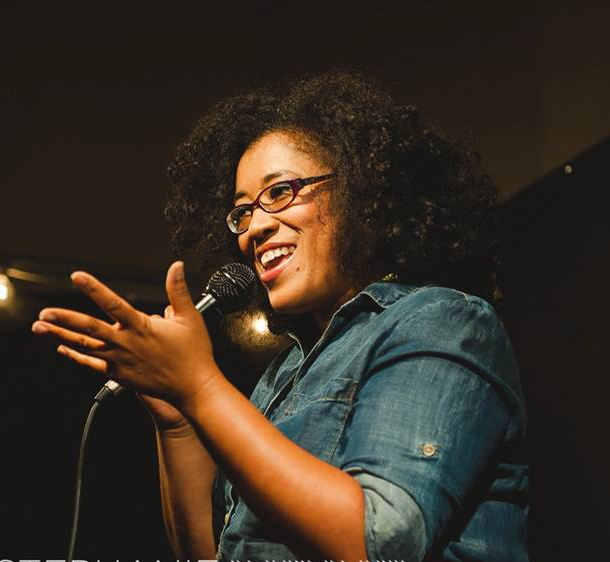 She is the current Florida State Poetry Association Slam Champion. Flow Diva is a founding member of the renowned poets’ collective, Chaos Theory and hosts All Arts Open Mic every 1st and 3rd Thursday at Coocaroos Café in Miramar. 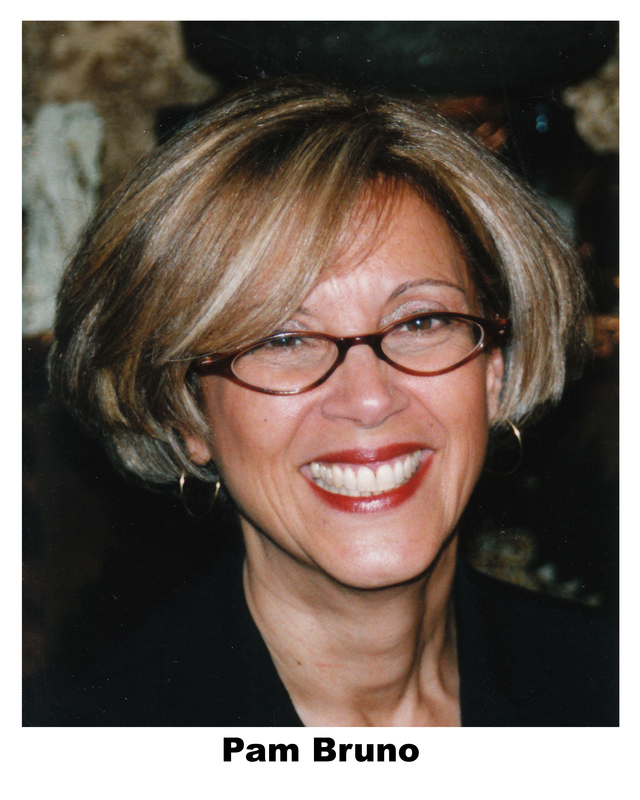 She also holds a BFA in Dramatic Arts from Carnegie Mellon University and has directed plays at the Joseph Caleb Auditorium, The African American Cultural Arts Center and the Alliance Theatre Lab to name a few. As an actor, Flow has recently appeared in plays at M Ensemble, AAPACT and The Mos’Art Theatre, The Abyss Stage, Outré Theatre Company, Grace Arts Center and The Broward Center for the Performing Arts. As a multidisciplinary artist, Flow has worked behind the scenes on several films and television shows, written multiple scripts and has recently released her first chapbook, Through My Eyes, A Poetic Collection, available at squareup.com/market/rachel-flow-diva-finley and is the co-author of the upcoming children’s book, Douglas. You can also catch her production of Venus by Susan Lorie-Parks at the African Heritage Cultural Arts Center in the Spring. Flow would like to thank her parents, Harvetta Finley and the late Frankie Finley, her siblings, Chad, Frankie Jr., Gabrielle Finley-Hazel and Jessalyn Artis, and her children, Charles Harvey Reed, Lily Grace Reed and Lane Martin Finley for their unwavering love and support. MORI TAIYE – Morini’kke’ Taiye Williams (Mori Taiye for short) is known for her sultry deep voice, and is presently one of the most profound spoken word artist in South Florida. As a person who likes to describe herself as “…being able to live in two different worlds at the same time,” Mori manages to combine all her experiences into passionate and mesmerizing performances. A California native with roots in Houston, Texas, Mori began with her mother initiating piano lessons that turned into something much more later in life. All throughout grade school and college, Mori was involved in local talent shows, theatre clubs, and plays. She has received numerous state championship awards as a pianist since the age of 9, and awards for using her writing and performing talents towards humanitarian services to date. She started putting her writing skills specifically towards poetry in 2007, and began performing in local clubs and social events. In 2012, Mori joined the explosive poet collective Chaos Theory, who are national slam champions and travel all throughout the United States. A following was easy to gain with being a featured artist for the Miami Herald, Sun Sentinel, radio shows, podcasts, WSVN/Miccosukee Magazine TV, and much more. Be on the look-out for Mori Taiye in the future. She is an ever evolving artist, who is ready to take on the world with the color of words. After 6 years of variety showcases, Conundrum Stages will present its first ever production at the Sunrise Civic Center Theatre at 8 pm on August 8th. The production will feature a wide variety of exciting talent from across the tri-county spectrum. 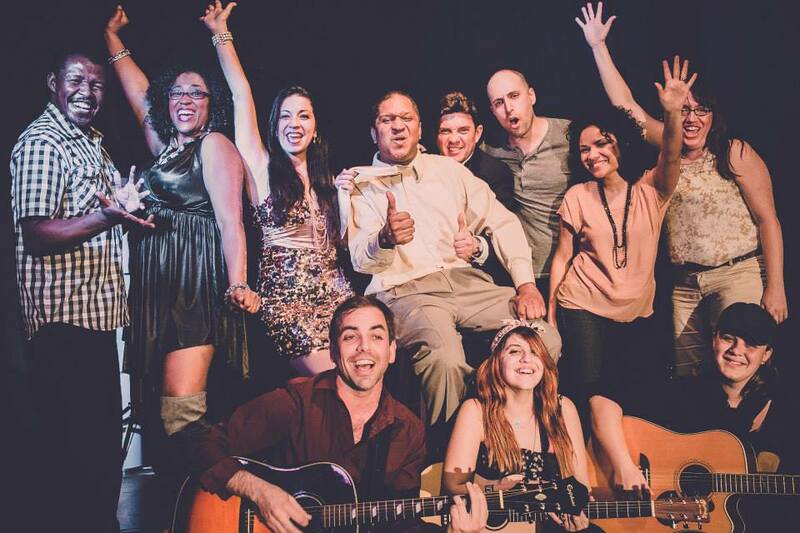 Spotlighting both cabaret and coffee house acts, Café Conundrum will feature local stage actors, comedians, musical soloists, and performance poetry all in an effort to recognize the multi-faceted South Florida talent scene. 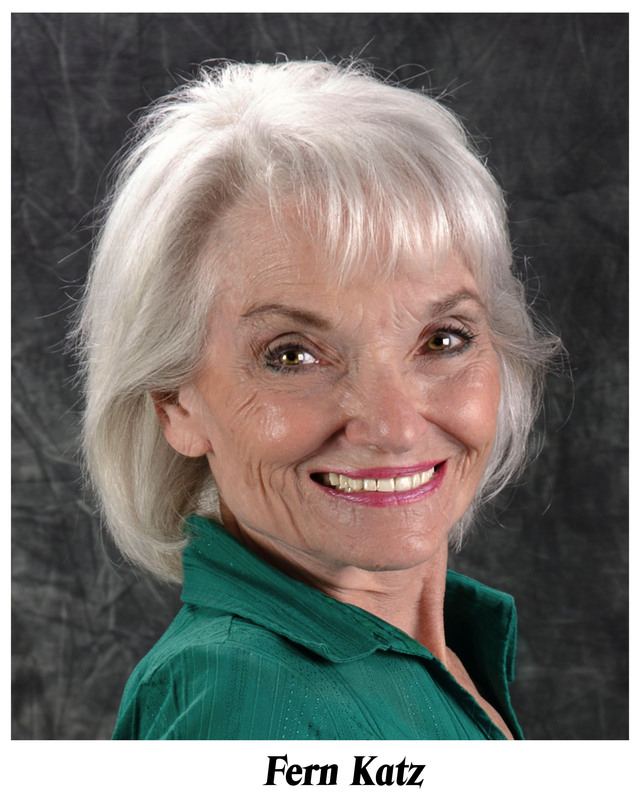 A number of long-time contributors to Conundrum Stages presentations are slated to perform – including singers John Lariviere and Jeanne Lynn Gray, actors Fern Katz, Barry Katz, and Skye Whitcomb, comedians Rhett Thompson and Pam Bruno,andmusicians Serena Stroppa and The Good Guy. Conundrum Stages was established and incorporated in 2008 as a multi-disciplined performance company providing platforms for Southeast Florida talent to showcase their material. Its origins go back as a play reading project in 2004 known as the Ghost Light Series featuring local stage artists in established works from playwrights from Arthur Miller to Anton Chekhov. After establishing its new operation, Conundrum expanded its programming to feature other disciplines of live performance including original music, poetry, comedy, and dance. Conundrum now has established recurring and annual showcases including The SpeakOut: An Evening of Poetry and Song, VOCAPALOOZA, Funny Business, Sirens & Strings: An Acou-chix Experience (2011-2013), and Holiday House. In 2012 Conundrum Stages reformatted the Ghost Light Series as a play reading festival and will return to Empire Stage in Fort Lauderdale for its second edition in September. For more information about Conundrum Stages, visit www.conundrumstages.net or find Conundrum Stages on Facebook, Twitter, Instagram and YouTube. Café Conundrum will be presented at the Sunrise Civic Center Theatre on Friday, August 8th, 8pm. Tickets are $12 general admission, $10 for students with ID, and $8 for children. For more information and to purchase tickets, please call (954) 747-4646 or visit www.sunrisefl.gov . THE GOOD GUY – James Carrey also known as The Good Guy has been a Conundrum contributor since 2010, when he read a scene from Death of a Salesman in our 2nd anniversary event at the Tamarac Theatre. Since then he has been performing his original music with Conundrum in programs including our showcases at the Van Dyke Café in October 2012 and October 2013, as well as our Funny Business program in October 2013. He most recently played at our Year 6 Open Mic Tour at the Cabaret South Beach. James is also an accomplished theater actor and playwright, performing in productions including Cannibal: The Musical, Assassins, and the All-American Genderf*ck Cabaret to name a few. Under his Crashbox theatre imprint, he has produced and written CRASHFEST and UNLEASHED, both performed at Empire Stage last year. Now devoted more to music, James’ works can be found on Facebook, Twitter, & Soundcloud under TheGoodGuyMusic. JEANNE LYNN GRAY – Jeanne was also associated with the Ghost Light Series prior to Conundrum’s incorporation. Her Conundrum debut was participating as a musical guest in both our annual SpeakOut poetry/music event, the On The Boards Alternative Theater Festival and the first VOCAPALOOZA all in 2011. She performed for Conundrum’s 5th anniversary program at the Broward Center, last June. Jeanne is a Carbonell Award winner for her role as Queen in the musical, The Life, a full-time cabaret performer and a lead singer for the TK Blu Band. Other theatre credits include Jekyll & Hyde: The Musical, Company, Ragtime, and Ain’t Misbehavin. Vist her website, www.jeannelynngray.com. FERN & BARRY KATZ – Fern and Barry are Chicago transplants who have been in South Florida since 1976 and will be celebrating their 59th wedding anniversary in August. They made their Conundrum debut last June performing a short play for our 5th anniversary show at the Broward Center, and reprised their roles for an art walk in Dania last October. In 1999, The Katzs helped found Actors Community Theatre of Davie and have performed in several of their productions. Fern’s other stage credits include Secrets of the LaCroix, I Hate Hamlet, and Sordid Lives while Barry performed in Nuts, The Music Man, and Tinsel and Turkey. The Katzs have also been in several films and commercials. Be on the lookout for them on the new Paul Giamatti TV series, Hoke. Fern and Barry are delighted to be working with Conundrum Stages on this endeavor called Café Conundrum. JOHN LARIVIERE – John has been an avid Conundrum Stages contributing performer since participating in the Ghost Light Series prior to Conundrum’s incorporation. Under the Conundrum banner, he participated in a reading of Neil Simon’s The Gingerbread Lady and has given his vocal talents in showcases like The Wonderful World of Conundrum Stages, Vol. 1: Lights Up (2009) and our On the Boards Alternative Theatre Festival at the Tamarac Theatre (2011). 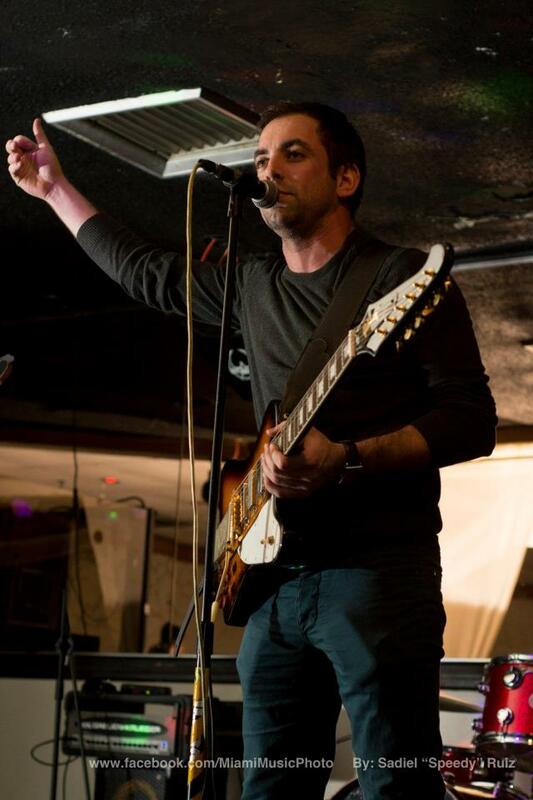 John has also performed in both VOCAPALOOZA showcases in 2011 and 2013. 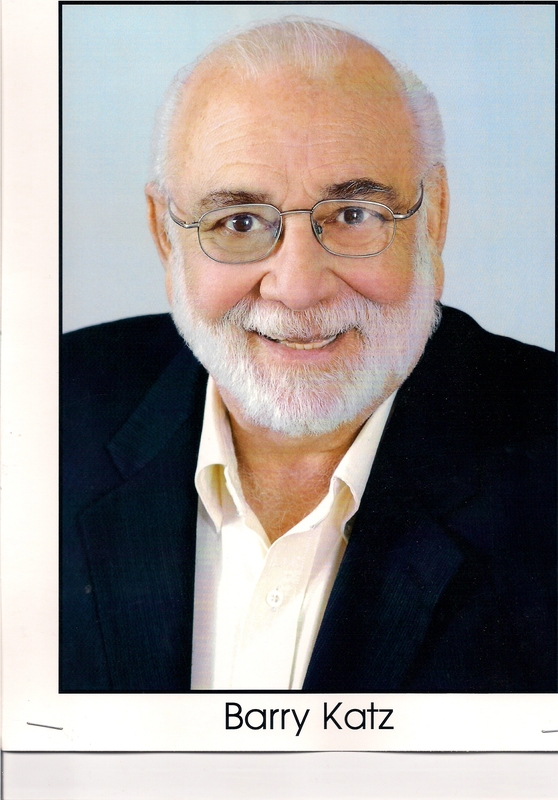 John has appeared at professional theatres throughout South Florida in shows such as Rags and Sunday In The Park With George. 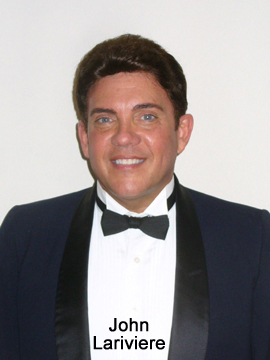 He regularly headlines as a cabaret singer in area clubs and theatres, and most recently premiered his cabaret show Moon River: The Music of Johnny Mercer. He will next be appearing August 14th – September 14th in a tribute to Al Jolson, Fanny Brice and Eddie Cantor called You Made Me Love You. John is also the General Manager of the Plaza Theatre in Manalapan. SERENA STROPPA – Serena has been a Conundrum contributor since 2010, making her debut at our 2nd anniversary show at the Tamarac Theatre, performing her original music. She has worked with us for two years through our Sirens & Strings female acoustic program as well as other programs including Holiday House, VOCAPALOOZA. She also played at the Van Dyke Café. Serena now has 2 covers of “Am I Wrong” (Nico & Vinz) and “Story of My Life” (One Direction) available on I-Tunes. Visit her Facebook page under Serenastrr and Youtube under SerenaD Medori. RHETT THOMPSON – Rhett is a comedian based in Miami. Born and raised in Akron, Ohio, Rhett cut her teeth on the New York comedy circuit. She made her Conundrum debut in 2011, performing at the On the Boards Alternative Theatre Festival. Since then, she has twice performed for our Sirens & Strings female acoustic show, hosted Conundrum programs including Funny Business, Part 2, Conundrum Stages Live at the Open Stage Club and most recently, our Year 6 Open Mic at the Cabaret South Beach. Rhett’s podcast, “Blackanese Chick”, can be found on iTunes, Stitcher, and podOmatic. Please go to www.BlackaneseChick.com for more information and upcoming performances. 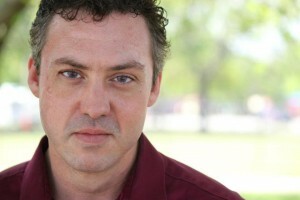 SKYE WHITCOMB – Another transplant from the Ghost Light Series, Skye made his Conundrum debut in 2009 acting in a reading of Harold Pinter’s The Homecoming. Skye also directed a reading of The Fall of the House of Usher, an adaptation of Edgar Allan Poe’s short story, and has participated in our annual SpeakOut poetry/music event for the past 4 years. Theatre performance credits include Neverwhere, In Development, and Lombardi. Skye is the founding Artistic Director for Outré Theatre Company, directing productions of The Wild Party, An Iliad, tick,tick…Boom!, Much Ado About Nothing, Mr. Marmalade, and Thrill Me: The Leopold and Loeb Story. He is looking forward to the upcoming Outré season which includes the plays Back of the Throat and Othello, and the musical Bloody Bloody Andrew Jackson. For more details, visit www.outretheatrecompany.com.